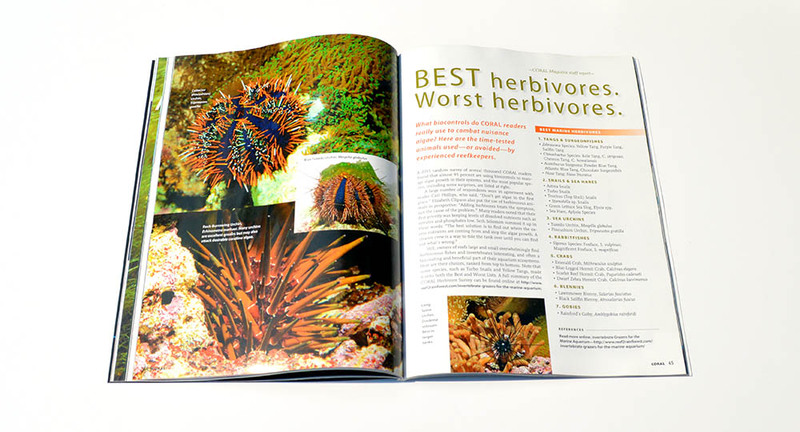 The cover of HERBIVORES, our feature for the July/August 2015 issue of CORAL Magazine, examining The Best (and Worst) Grazing Animals for Your Reef! 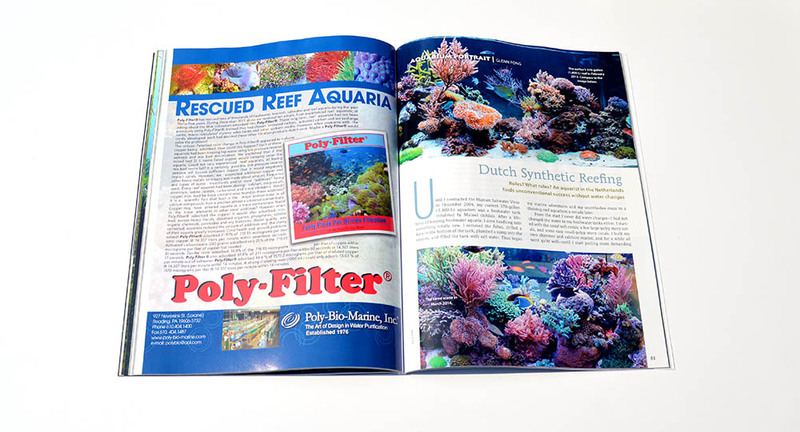 Does your local retailer keep CORAL Magazine all wrapped up in a poly bag at the shop? 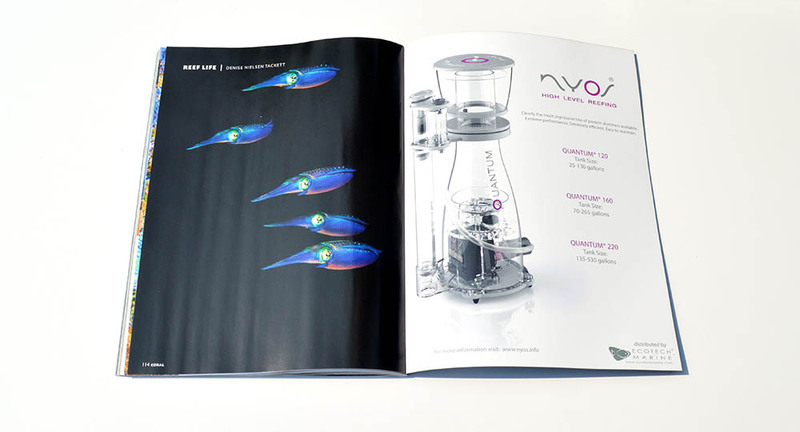 Have you only experienced our Digital Edition? 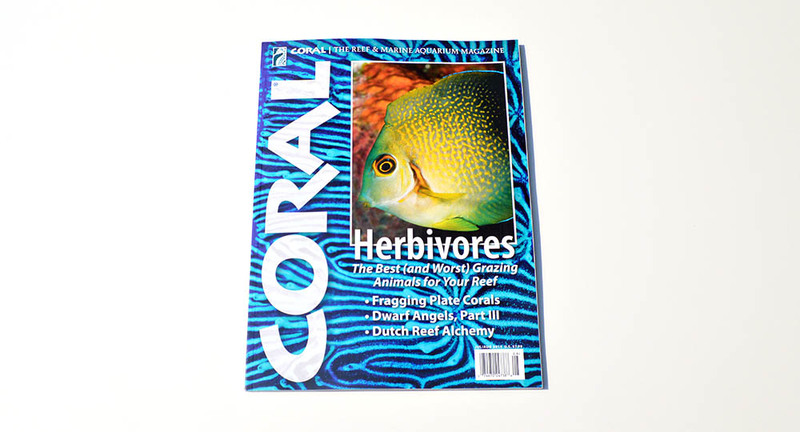 CORAL continues to publish a timeless, highest-quality print edition. 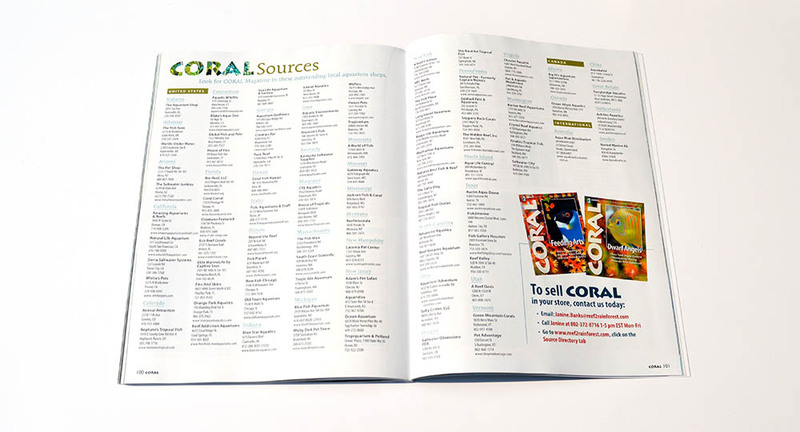 For those who have a hard time thumbing through a print vesrsion, and we’re going to share the newest issue, the July/August 2015 issue of CORAL Magazine, in this hard copy preview. There is nothing else like it. Want to read this edition on your computer? Current subscribers can log into the Digital Edition now! Have an iPhone or Android device? You can also read the Digital Edition in our apps. Of course, many subscribers will agree that nothing replaces the heavy, glossy printed pages that come with a full print + digital subscription, so why not subscribe today? 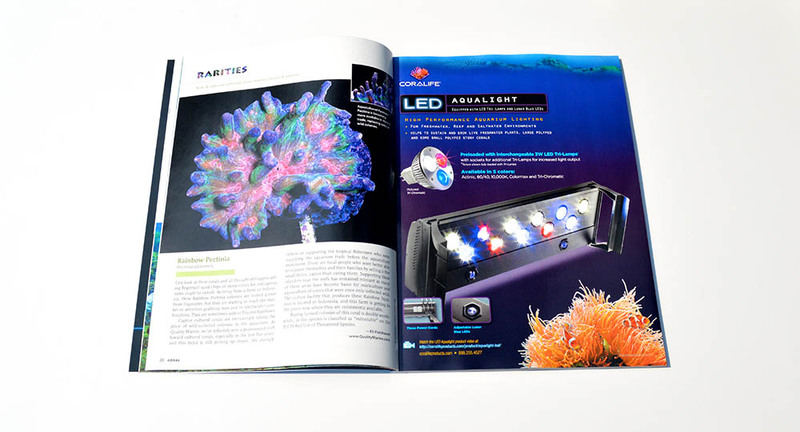 If you can’t find CORAL Magazine through one of our many local aquarium shop retailers or your local Barnes & Noble bookstore, and want to purchase a single copy of this issue, you can do so on our shopping website! 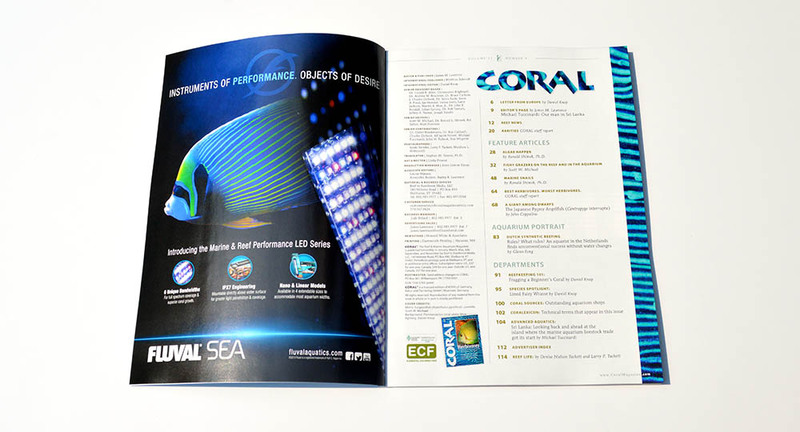 Get read to thumb through the latest printed edition of CORAL Magazine! 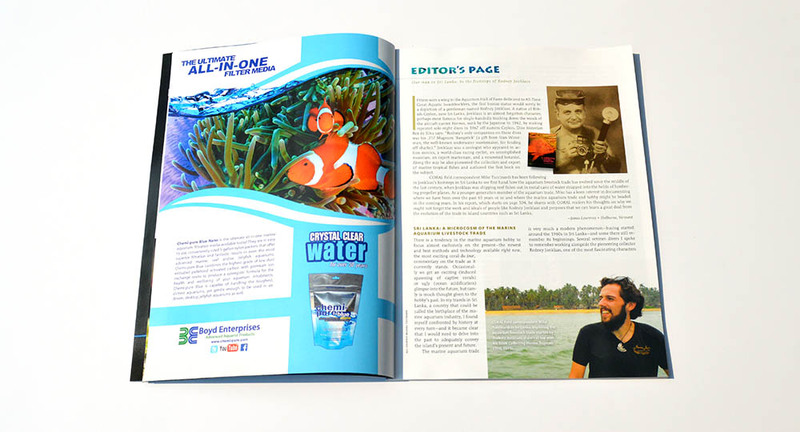 This issue’s Editor’s Page features pioneering aquarium collector Rodney Jonklass, with historical background and insights as shared by James M. Lawrence and CORAL field correspondent Mike Tuccinardi. 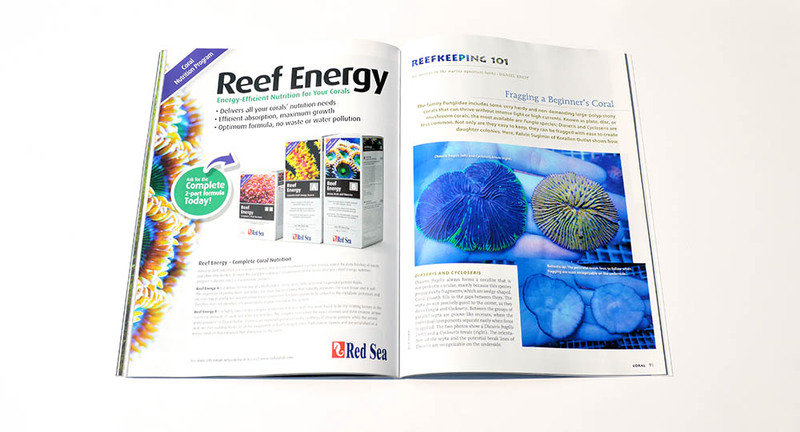 Reef News returns with a cornucopia of news from the research community. In this issue, an investigation of biofilms in the role of the coral life cycle, the role of taste in reef health assessments by larval fishes and corals, the influence of planktonic urinary excretions on the nitrogen balance of seawater, and the 2014 Nobel Prize for Physics which has direct implications for the marine reef aquarium hobby. 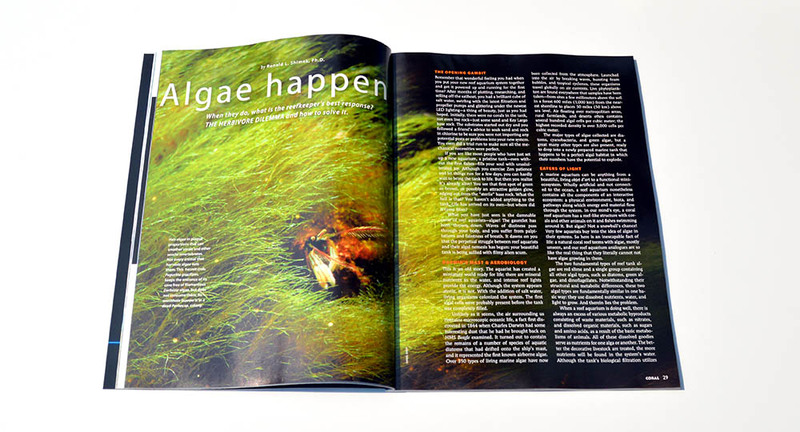 RARITIES in this issue include Rainbow Pectinia, Zebra Moray Eels, ORA’s captive-bred Variegated Sea Urchins, “Lush Life” Leptoseris, and Red Mycedium. 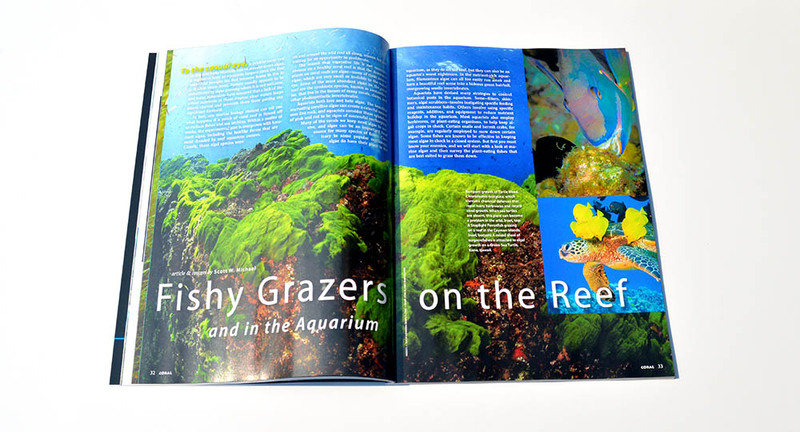 Scott W. Michael’s latest contribution, “Fishy Grazers on the Reef”, covers the immense range of herbivorous fishes available to aquarists, including valuable insights on what they will (and won’t) eat! 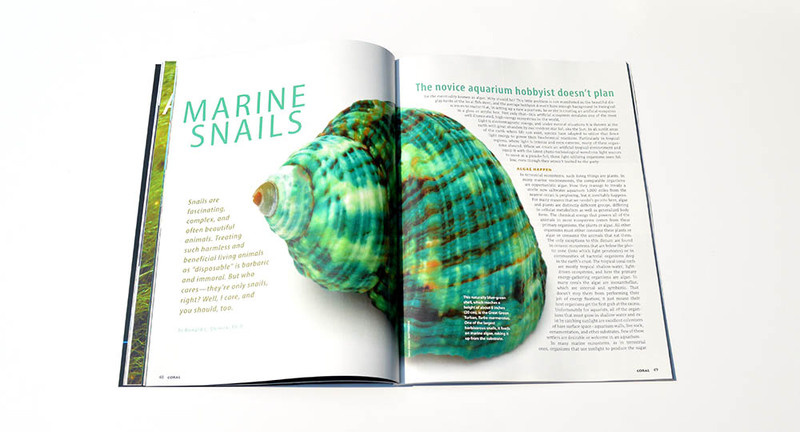 “Marine Snails”, by Ronald L. Shimek, PH.D., is the must-have, don’t reef tank without it, guide to the grazing snails you’re likely to encounter in the aquarium trade. Learn which snails will truly help with your algae problems, and which are best never added to your tank! Like what you’re seeing? Remember, all current subscribers can log into our digital edition or our apps to read this issue now. Print subscribers are receiving their copies soon, and local retailers should have this edition on sale now! “BEST herbivores. Worst herbivores.” What biocontrols do CORAL readers really use to combat nuisance algae? 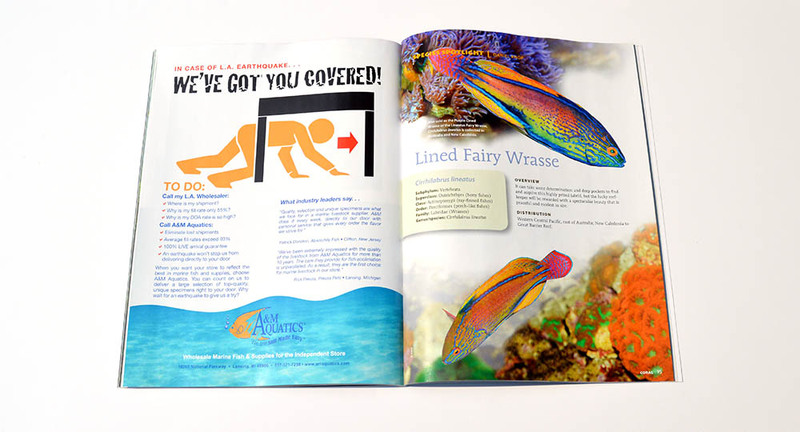 We cover the time-tested animals used, and avoided, by experienced reefkeepers. Daniel Knop investigates “Fragging a Beginner’s Coral”, which focuses on the plate coral Diaseris fragilis as well as Cycloseris. 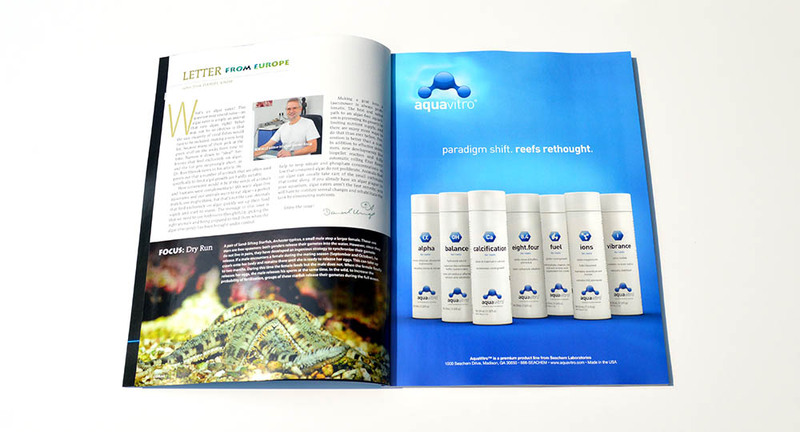 All in this issue’s Reefkeeping 101 column. 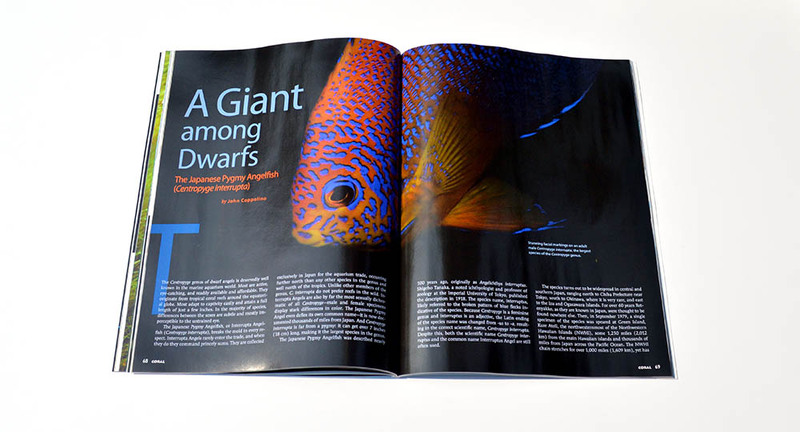 This issues Species Spotlight, by Daniel Knop, looks at the spectacular Lined Fairy Wrasse, Cirrhilabrus lineatus. 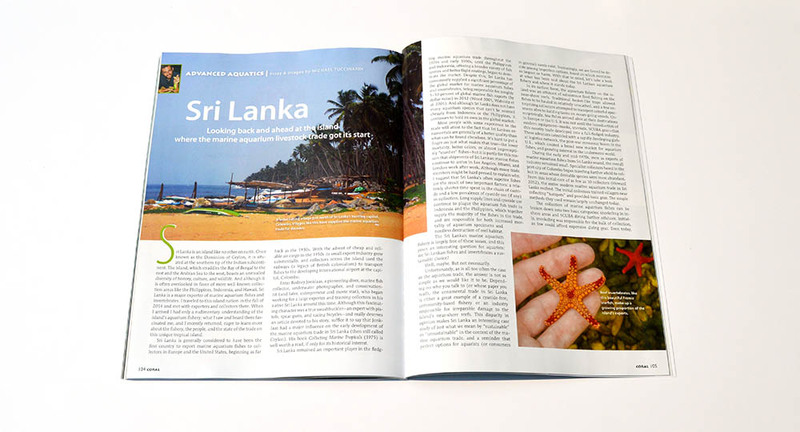 Sri Lanka: Looking back and ahead ad the island where the marine aquarium livestock trade got its start – CORAL and AMAZONAS Magazine contributor Mike Tuccinardi reports. Read this issue now in our digital edition or through our apps if you are a current subscriber. 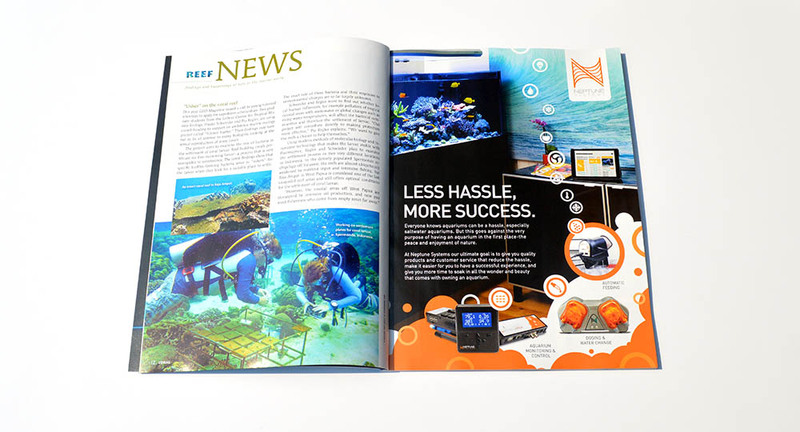 Find single-issue copies of CORAL Magazine on sale at many local aquarium retailers. 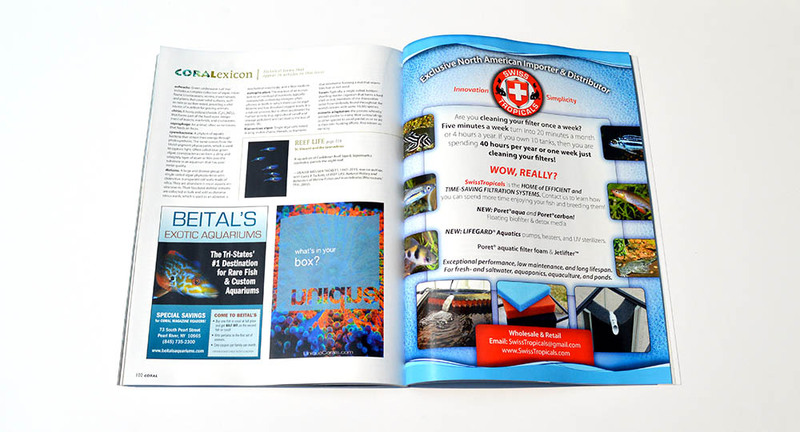 Buy printed copies of this, or any CORAL Magazine back-issue, on our shopping website. Get a digital, or print+digital subscription to CORAL Magazine so you never miss an issue again.